Picture this: It’s a Saturday. The sun is shining, the bees are buzzing, and the crowd is cheering for your little Tommy who just made his first soccer goal of the season. “Go, Tommy!! Number 13! !” you scream. Luckily, you live in Glendale, AZ, and there is a FastMed Urgent Care right around the corner! 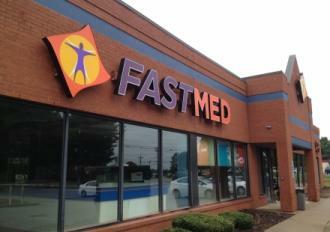 FastMed takes pride in the quality of our urgent care. We are committed to offering you and your family the quality medical care that you deserve. Whether you have a sprained ankle or a broken bone, or you require treatment for an acute illness, our urgent care in Glendale, AZ, is available every day of the year with no appointment required. Did you know that U.S. emergency rooms see 129.8 million patients a year, and that only 13.3% of those visits result in hospital admission? Although there was a time when you had only 2 choices for medical care – planning a doctor’s appointment or waiting in a crowded hospital emergency room – FastMed Urgent Care has changed all of that. With state-of-the-art equipment and highly-trained medical professionals, FastMed is an affordable alternative to the emergency room for non-life-threatening conditions. It’s easy to find a FastMed Urgent Care in Glendale, AZ. Conveniently located on West Happy Valley Road, FastMed offers $25 flu shots, sports medicine, x-rays, and treatments for a wide range of injuries and illnesses. Our clinics have earned the Joint Commission’s Gold Seal of Approval for accreditation in healthcare quality and safety in ambulatory health care. Looking for an Urgent Care in Glendale, AZ, that accepts your insurance? FastMed accepts most major insurance plans and offers discount programs to qualifying self-pay patients. Check out our list of accepted insurance plans to learn more! There is never a reason to compromise when it comes to your medical care. At FastMed, we believe that medical care should be prompt, affordable, professional, and personal. Follow us on Twitter to see why we have over 680 followers!